Serv Tech Pros offers proffessional NJ drain cleaning in Sayreville and Middlesex, Essex, Hudson and Union counties. We unclog drains efficiently and quickly in residential and commercial properties. We can help keep your drains flowing. A licensed Master plumber will arrive on time to fix clogged or stopped drains. 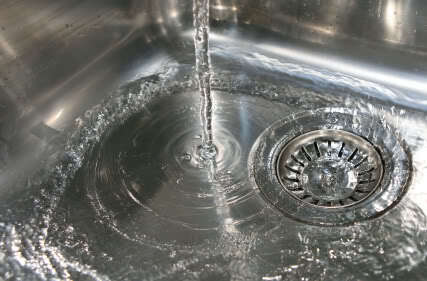 Our Master plumber is able to handle any drain cleaning service quickly and efficiently. Our experienced plumber will treat you and your property with respect, keeping the work area and the rest of your home or business clean. Our mature professionals have the technical and personal experience to help make a difficult situation a little bit better to deal with. Whether it is a clogged bathroom, kitchen, toilet or basement drain, you can relax knowing that are getting a fair price which is set ahead of time and kept the same when the job is finished. 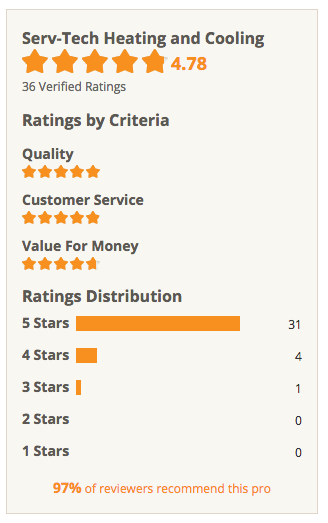 We do not charge extra for night, holiday or weekend calls. We serve most of Central and Northern New Jersey. 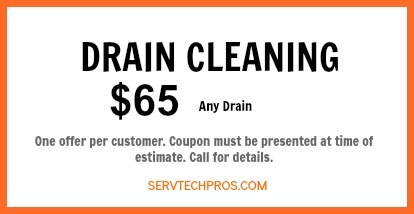 Here is a coupon you can use to save on drain services. You can avoid most clogged, slow moving drains with scheduled professional maintenance from Serv Tech Pros. If you have slow running drains in the kitchen or shower, or repeated backups and clogs, you likely will benefit from drain service. After we’ve cleaned your drains, they’ll move faster than you thought possible. We can also inspect your plumbing system. Never pour grease down kitchen drains. Keep hair from getting into shower and tub drains. Dispose of large food items in the trash, not down the drain.